Managing My Diabetes is a new, evidence-based service, which offers a smarter and better way to engage and educate people with type-2 diabetes. 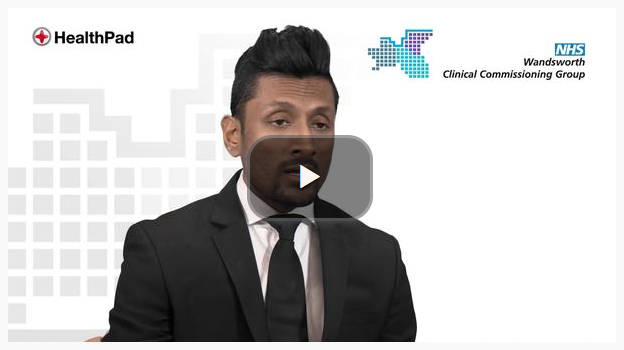 It’s delivered by video directly to patients’ mobiles, and aims to significantly dent the eye watering, and rapidly escalating personal, financial and societal costs of this preventable condition. A London CCG is an early adopter. Dr Seth Rankin, co-chair of Wandsworth CCG’s Diabetes Group, Managing Partner of Wandsworth Medical Centre, and a long time advocate of the use of video in diabetes education, says, “In traditional doctor-patient consultations, patients often don’t absorb important information, and videos help to redress this. Managing My Diabetes engages patients, and provides them with trusted and convenient video information about their condition, which is a necessary prerequisite for any behavioural change”. In addition to being the preferred format for patients to receive healthcare information, videos generate responses that are 10-times greater than that generated by text and graphics. Further, unlike health professionals, videos never wear out, they can be dubbed in any language, they’re easily and cheaply updated. Once people with diabetes are familiar with the initial Managing My Diabetes service, health providers can easily bolt on additional services to help people further manage their diabetes. This follows the model of digital champions such as Google and Facebook, which succeeded by using a simple core service, which successfully built a user base, and then, and only then, offered more services, thus continuously increasing the familiarity of their users with their services; and in turn the intensity with which they use them. Recently, the Department of Health failed to establish an online doctor-patient user-base for a £31m telehealth project, and it failed, see, Lessons from an axed telehealth project. Currently, there is no easy way for people with diabetes to quickly and easily obtain reliable online answers to their FAQs in video formats that they prefer, and there is no easy method for health professionals to post answers to patients’ questions about diabetes in a convenient online video format. At the heart of Managing My Diabetes is a content library of some 250 videos contributed by local health professionals, which address patients’ FAQs about managing their diabetes. Each video is between 60 and 80 seconds in duration, which is the average attention span of people seeking online video healthcare information. 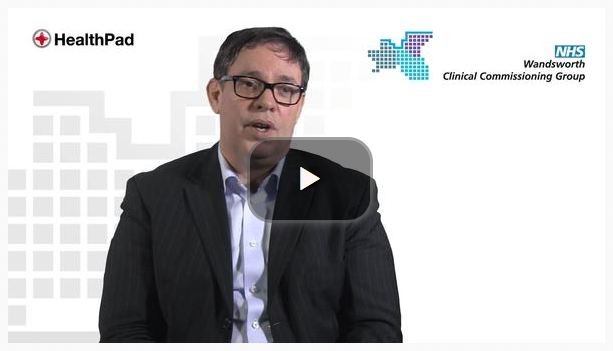 All videos are linked to bios of the contributors, which help patients judge the validity of the videos. Health professionals can cluster and send videos directly to patients’ mobiles to quickly and efficiently address their questions. 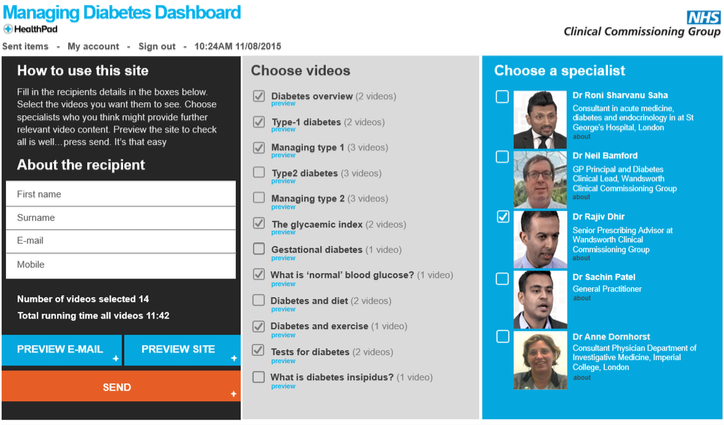 Also, patients can rapidly access the entire diabetes video content library at any time, from anywhere on any devise. Managing My Diabetes is designed to: (i) enhance the connectivity between local health professionals and patients, (ii) increase the knowledge of diabetes among people with the condition, (iii) encourage self-management, (iv) slow the onset of complications, and (v) reduce face-time with doctors. No one knows the true costs of type-2 diabetes, but its treatment costs alone are estimated to be some £10bn per year, and, in 20 years, expected to increase to £17bn; with diabetes complications costing a further £12bn per year. This highlights the pressing need to reduce the burden of the condition, which can be achieved by effective education. Traditional diabetes education that cost millions has failed to reduce the burden of diabetes. According to the National Diabetes Audit, less that 2% of people with diabetes attend any form of structured education. Instead, they regularly search the Internet for healthcare information, and use social media to share information they find. This is carried out at lightning speed, 24-7, 365 days a year. Health providers must come to terms with the fact that the balance of power has shifted from traditional providers of diabetes education to people living with the condition who are primarily interested in how education affects their outcomes. Failure to provide this link, leads to people disengaging and losing interest. What do people with diabetes want? Understanding the myths and realities about what patients really want from diabetes education is vital to capturing its value. A 2014 study by HealthPad into the efficacy of using videos in diabetes education concluded that there is a significant unmet need for trusted and convenient video educational material to help people manage their diabetes remotely: see: How GPs can improve diabetes outcomes and reduce costs. Because 63% of people with type-2 diabetes in England are over 60, a question that must be asked is whether delivering educational videos directly to their mobiles is really appropriate. The HealthPad study suggests that it is, and a 2014 McKinsey & Co survey on patients’ opinions of digital healthcare services agrees. Patients over 50 want digital healthcare services as much as younger counterparts. By 2018 smartphone penetration in the UK is expected to be almost 100%. The over 55s are experiencing the fastest year-on-year smartphone penetration, and the difference in smartphone penetration by age is expected to disappear by 2020, and Internet use has shifted from being exceptional to being commonplace. Mobile devices are ubiquitous and personal, and competition will continue to drive lower pricing and increase functionality. Managing My Diabetes ensures that people living with diabetes will always be part of the doctor-patient network, which increases the variety; velocity, volume and value of educational information patients can receive. Managing My Diabetes has been developed, tested and adopted by a London CCG. It has also a number of clinical champions. The service is designed to be easily and cost effectively embedded in primary care practices, and can be delivered in any language. If Managing My Diabetes is to dent the devastating burden of type-2 diabetes it will require national leadership to encourage CCG’s to adopt it, and health professionals to embrace it. Will NHS England and Diabetes UK play this much needed leadership role? If, in five years time, the burden of type-2 diabetes in England has not been significantly reduced, who will be accountable? What is Wandsworth CCG Project "Managing my diabetes" ? Why do doctors want patients’ glucose levels low? In which patients are further tests for the cause of diabetes worthwhile?